We're just as tired as you are of internet hocus pocus with spammy ads and empty promises. It's so rampant that frankly, I'm surprised that you even clicked on the red hot tip button! Kudos to you for doing so, because you're about change the way that you bet on sports, FOREVER! There's about a 98% chance that your bookie/sportsbook is over charging you. They're not really ripping you off intentionally, but nonetheless, the end result is the same as if they were. What we're getting at is that MOST bookies charge their clients -110 odds when they bet sides (straight bets) and totals (over/unders). This has pretty much been the standard since the beginning of time. The times have changed though! The sports betting industry has become very competitive and like any other industry, other businesses are moving in, offering lower prices to gain your business. This is good! You stand to benefit/profit when things like this happen. Let's say that you're a $100 bettor. This means you're laying (risking) $110 to win $100. The average guy bets the Thursday night game, 5 games on Sunday and MNF, for a total of 7 games. This would result in you risking $770 to win $700. In summary, you're risking $70 each week in vigorish. Now multiply that $70 in vig, times 17 weeks. This gives you a total of $1190 in vig. If you had wagered those games at only -105 vig (juice), you'd have cut that risk in half and saved a whopping $595! A dime bettor ($1000) would save 10x that amount for a total of $5950! Now let's look at the long term equation... Most guys who bet on football do so every year. So now the savings really get spicy. Over a 10 year period, you'll save $595x10=$5950! Over 20 years, you'll save $11,900! Dime bettor... 10 years of reduced vig can buy you a freakin' Mercedes! 20 years of reduced vig gets you a free Ferrari! DO THE WISE THING AND GET SIGNED UP WITH 5DIMES TODAY! YOU'LL BE SO GLAD THAT YOU DID! The next time you go to the store, there's a good chance that you'll compare prices. Most wise shoppers will compare the price of a loaf of bread to save a measley dollar! It's a no brainer to compare sportsbook betting odds and roll with the best prices! Lucky for you, the sportsbook offering these reduced odds isn't some fly by night operation either. They're one of the oldest and most established sportsbooks in the industry. 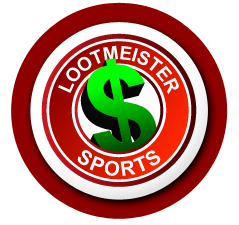 They have one of the biggest wagering menus online, offer 20 point teasers, huge point buying opportunities, parlays up to 25 teams and best of all, -105 on sides and totals. They offer reduced odds baseball betting as well.